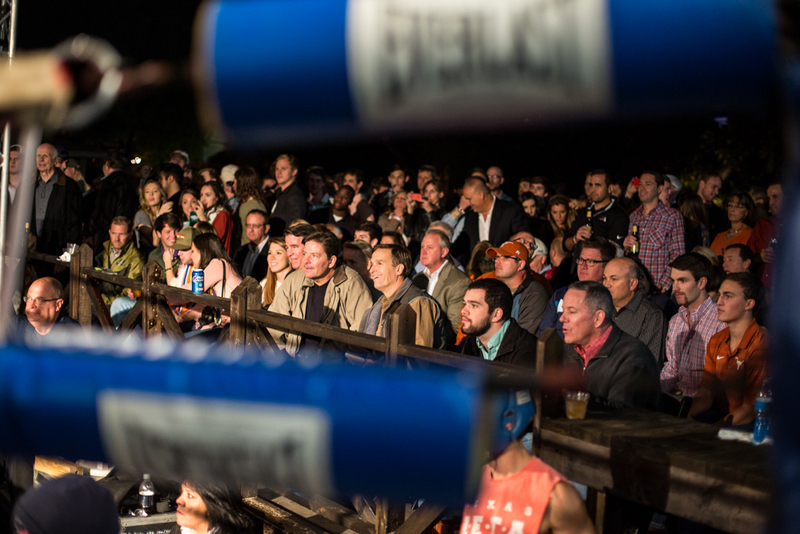 "Texas Fight Night: Knocking Out Cancer Since 1976"
Sigma Chi Fight Night is a philanthropic boxing tournament hosted in the backyard at the Sigma Chi house featuring UT students who participate in U.S.A. Boxing-sanctioned amateur bouts. 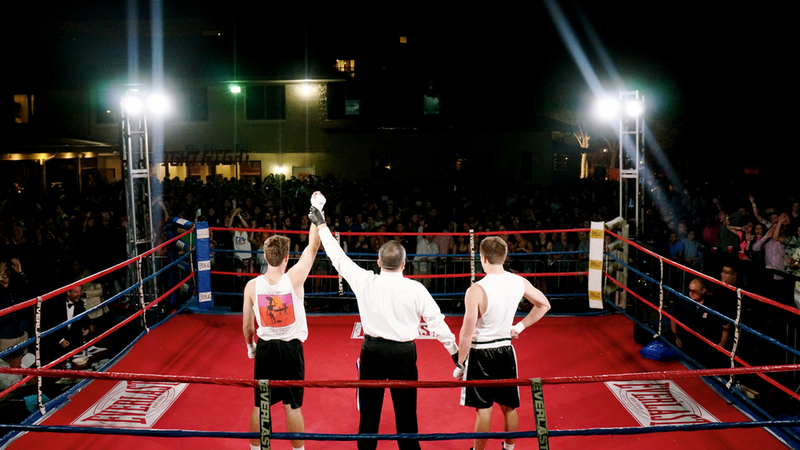 Each fighter trains for weeks or months leading up to the event in preparation to represent their fraternity or student organization at Fight Night. Following the fights, the event concludes with a professionally managed musical performance. Previous artists have included Shwayze, Bun B, Macklemore, and Trinidad James. 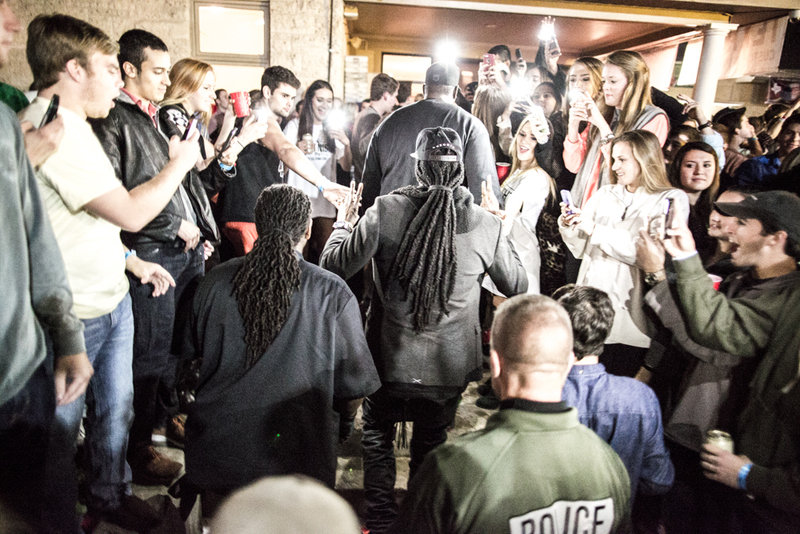 The event has expanded in recent years to feature platinum recording artists 2 Chainz, Juicy J, Migos, and Ty Dolla $ign. 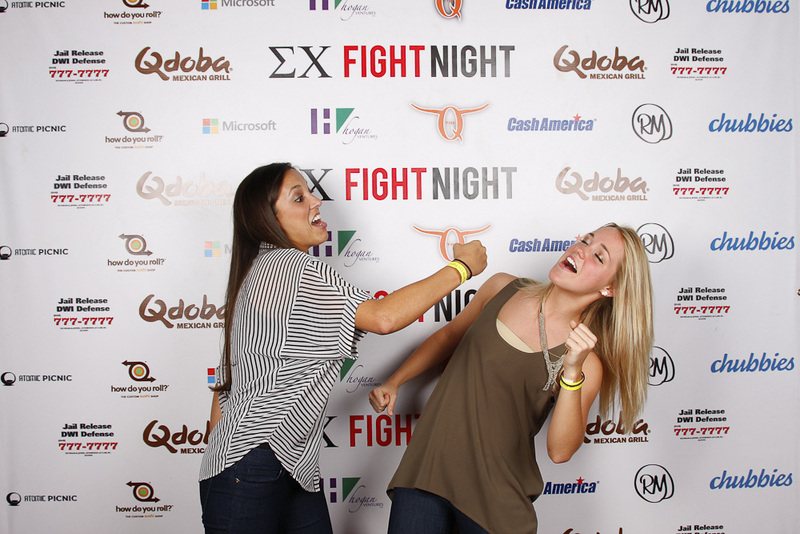 At its core, Sigma Chi Fight Night is a philanthropy event. In recent years, the increasing popularity of the event has enabled us to raise tens of thousands of dollars for worthy causes. This year, our goal is to host our largest and most successful event to date while raising $100,000 for our beneficiaries including The Huntsman Cancer Institute, The B+ Foundation, and the Wooldridge Elementary School Boys and Girls Club. With the help of our sponsors, attendees, and fighters, we have raised over $250,000 from this event since 2014! Thank you to everyone who has contributed to Fight Night's overwhelming success in recent years, and we look forward to working with you to achieve our highest fundraising goal to date this year. For more information on Fight Night's philanthropic efforts, check out our Philanthropy page. It costs a lot of money to produce Texas Fight Night. As a sponsor of the event, your business will receive exposure and help raise money for charity all at the same time! Become a sponsor today! Tickets for Texas Fight Night are a hot commodity. Check out our Tickets page for more information about how to purchase your tickets for this year's event. Registering to fight at Texas Fight Night has never been easier. Check out our Fighters page to learn about training to fight at Lord's Gym in Austin and to register to fight online! 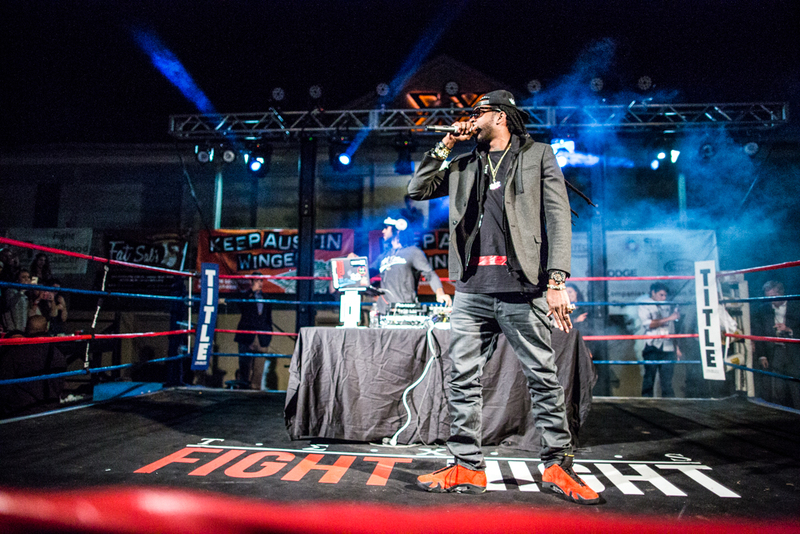 Some amazing recording artists have performed at Texas Fight Night. You won't want to miss this year's musical performers! Check out our Lineup page for more information.